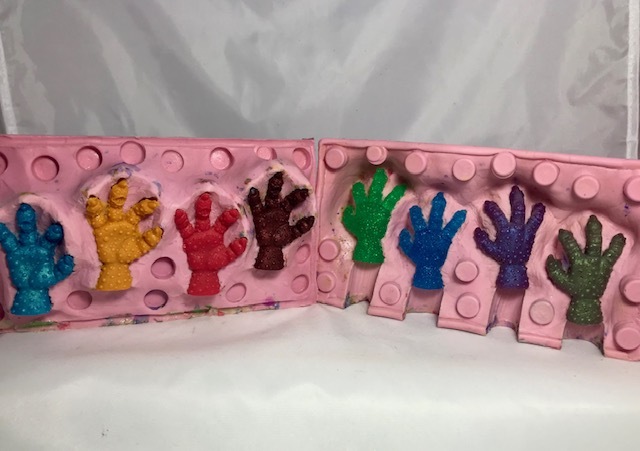 MMMM returns with a little bit of an unusual piece which is not actually a figure or series of figures but a custom figure mold. Marty is to me the founding father of custom mini figure molds, the first I know of is his Claw figure #153. The figures came in so many different colors and all were of a very high quality. 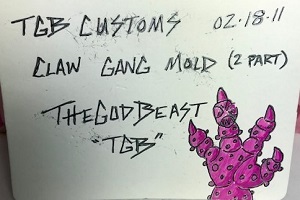 I certainly bought some TGB customs over the years. 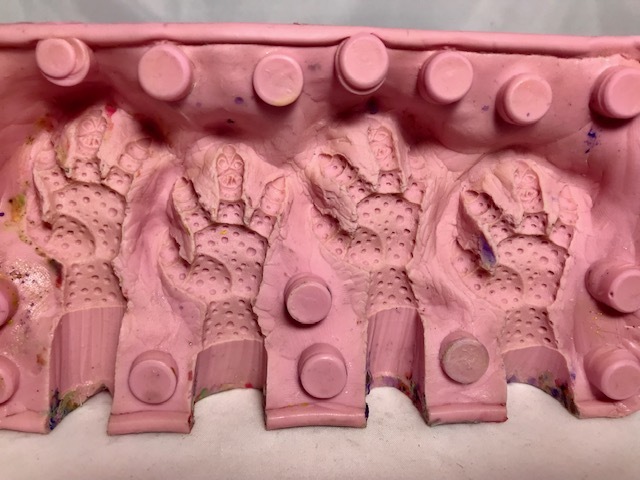 Recently I had the opportunity to purchase the very last figures cast in the Claw mold as well as the mold itself! 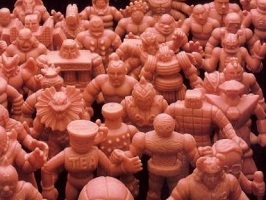 As a collector interested in the history of M.U.S.C.L.E. I really couldn’t pass up this piece. 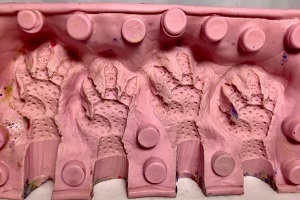 I feel this mold is a very important part due to the fact it could well be the very first custom mold made, plus it possibly has inspired the number of custom figure creators that are now in the market. 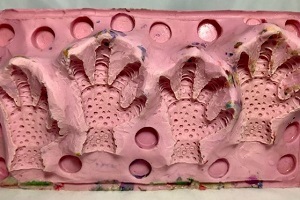 This mold was retired in 2011 and I’m sure it could tell some stories. 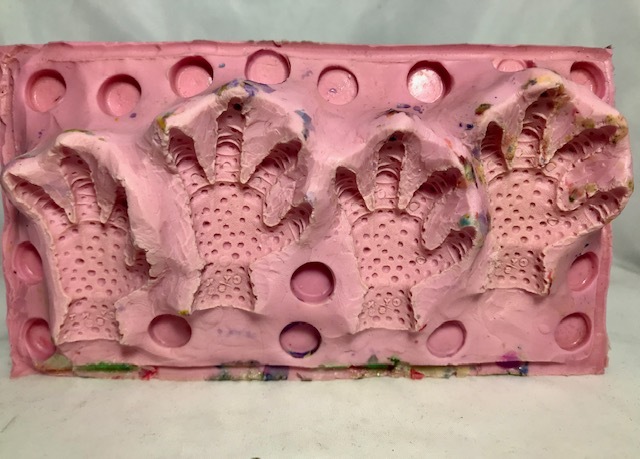 I would love to know how many figures were made in this mold. Probably hundreds. I love that Marty wrote a little note to signal the end of the molds use. 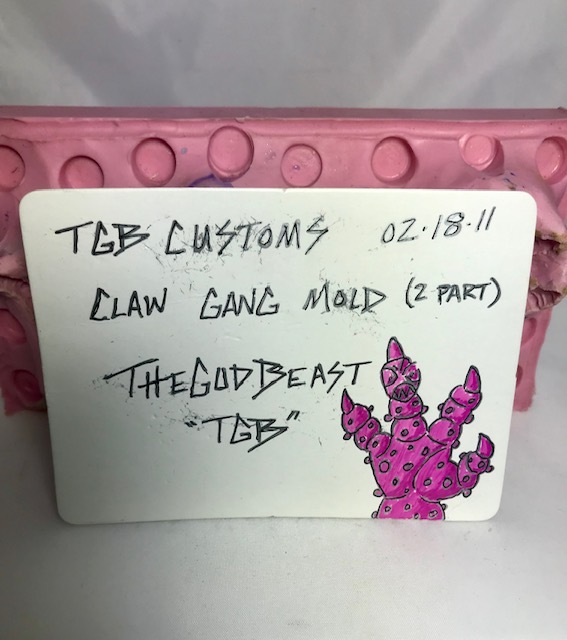 I’m tempted to use it and create some Claws for myself even though I don’t know the first thing about making custom figures, I just collect them. This entry was posted on Monday, December 24th, 2018 and is filed under UofM News. You can follow any responses to this entry through RSS 2.0. You can skip to the end and leave a response. Pinging is currently not allowed.